Alon Tal of Tel Aviv University will give the 2018 Jack and Rebecca Benaroya Endowed Lecture in Israel Studies on the topic of Israel’s new dependence on desalination, assessing the sustainability of desalination as a source of usable water and the lessons that Israel’s experience can offer an increasingly water-scarce world. Alon Tal is the chair of the Department of Public Policy at Tel Aviv University. In 1990, he founded the Israel Union for Environmental Defense, Israel’s leading green advocacy organization, as well as the Arava Institute for Environmental Studies. Between 2010 and 2013 he served as chair of Israel’s Green Party. Israel’s Ministry of Environment gave him a lifetime achievement award at age 48. Presently Tal is co-chair of Tzafuf, the Israel Forum for Population, Environment and Society, as well as co-chair of This is My Earth. In 2005, Tal was the winner of the Bronfman prize, a humanitarian award for young leaders. He has held faculty positions at Ben Gurion, Harvard, Stanford, Michigan State, Science Po and Otago Universities. 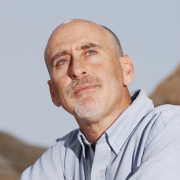 Tal has over 100 publication and has written or edited ten books. He plays fiddle and mandolin for the Arava Riders, one of Israel’s veteran bluegrass bands. This event is cosponsored by the School of Marine and Environmental Affairs.